Under auspicious astronomical position, Krishna is born to Devaki and Vasudev. Lord Vishnu himself appears to Devaki and Vasudev, and assures them that it is he who will be born in the form of Krishna. Lord Vishnu instructs Vasudev to take the baby to Gokul, and exchange the baby with the just-born daughter of Yashoda and Nand. Vasudev magically is set free by Lord Vishnu, and is able to escape the prison and carry baby Krishna to Nandlal and Yahsoda at Gokul. On realizing that the baby had escaped, Kansa instructs a witch named Putana, to kill the new born children in the cities, villages and pasturing grounds. Putana enters the county of Gokula, the residential quarter of Nanda Maharaja, kidnaps baby Krishna and tries to kill him, but instead gets killed by Krishna. 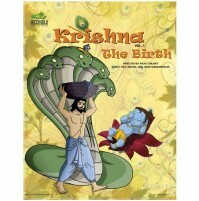 Kansa sends two of his other demonic friends to find the cause of Putana's death but both end up getting killed by Krishna. 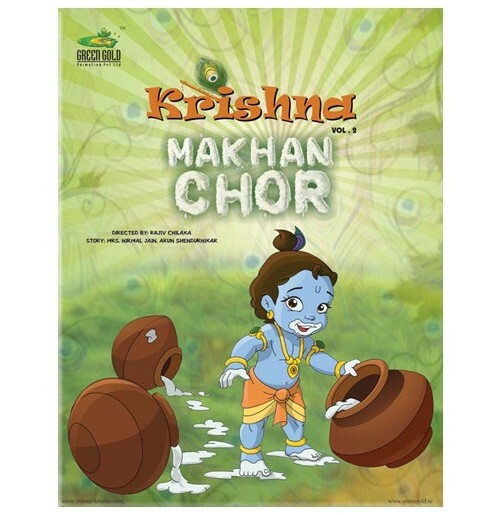 Makhan Chor shows the infant Krishna growing up in Gokul under the love and care of his foster parents, Nandlal and Yashoda, to become the popular, mischievous but the lovable -ANHA- of Gokul. Krishna, along with his brother, Balram and friends is always having fun, be it playing pranks on the unsuspecting Gopi's, stealing butter (Makhan) or destroying any demon sent to kill him by his evil uncle, Kansa.